Posted by Maggy Parries on Aug 11th, 2016 and filed under Allgemein, Automotive, Breaking News, Featured. You can follow any responses to this entry through the RSS 2.0. Both comments and pings are currently closed. AUDI AG has started the second half of the year with sales growth: In July, the company sold 149,400 units, up 2.3 percent year-on-year. The brand increased sales in all three core regions – in North America by 5.9 percent, in Asia-Pacific by 4.4 percent and in Europe by 1.5 percent. The new Audi A4 was the bestselling model worldwide with around 30,450 units and growth of 14.9 percent. Since January, the carmaker has delivered around 1,102,650 cars to customers from its entire portfolio, an increase of 5.2 percent. “At present we are facing numerous economic and political challenges in key markets. Despite these increasingly difficult overall conditions, the global demand for Audi models has remained stable,” says Dietmar Voggenreiter, Member of the Board of Management for Sales and Marketing at AUDI AG. Sales in Europe reflect a very mixed picture in July: While the demand in key markets such as Italy (+28.6% to 6,252 cars), Spain (+13.8% to 4,784 units) and Germany (+6.9% to 24,546 units) increased substantially, the momentum in France slowed down marginally in the past month (-3.1% to 5,018 units). In the United Kingdom, the change in generation for the Audi A3, the bestselling Audi model in the market, was reflected in delivery totals. Due to strong demand for the previous generation, the A3 was sold out in the UK earlier than planned at the end of its life cycle. July sales in the United Kingdom thus fell by 9.9 percent to 11,554 units. Cumulative deliveries in the United Kingdom increased by 2.3 percent to 101,489 cars since the start of the year. In Europe as a whole, the carmaker sold around 523,650 cars over the past seven months, equivalent to a year-on-year increase of 7.5 percent. Business with the Four Rings in North America showed a balanced surge: In Mexico (+18.7% to 1,374 units), Canada (+14.7% to 2,451 units) and the United States, the company saw sales increase further in the past month. In the U.S. market, the sales figures for the brand with the Four Rings rose 4.0 percent to 18,364 cars. Since January, customers in the United States have taken delivery of 115,298 units, an increase of 3.6 percent. In North America, sales in the same period increased by 5.6 percent to around 142,100 cars. Deliveries in the Asia-Pacific region are also up since the start of the year, with around 392,600 units (+4.0%) sold. The positive trend for Audi is holding up particularly in China. Here the company achieved the strongest absolute volume growth in its top 20 markets in July with 46,454 cars and an increase of 9.9 percent. In addition to the A3 Sedan, Audi performed well in China with its SUV models in particular. For instance, the monthly sales of the Audi Q3, Q5 and Q7 exceeded the comparative figure from 2015 by 20.5 percent. Since the turn of the year, the Ingolstadt-based carmaker has consistently increased its sales in the market each month. Overall, the company has delivered 336,580 cars to customers in China since January, an increase of 6.5 percent. 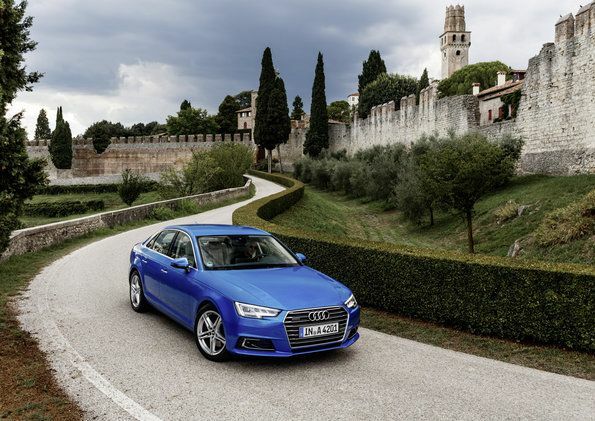 The new version of the top-selling model Audi A4L will be launched in a few weeks.